Well I guess I found my crafty side this weekend after all. This is the wobbly old frame I bought for 15 cents at a garage sale this weekend. It’s fairly large – 16×20 on the inside. I applied some Minwax Tung Oil to richen the finish. 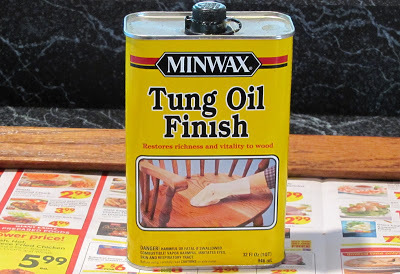 Now for those who haven’t used tung oil before, you can use it over stained or unstained wood to give a hand-rubbed finish. 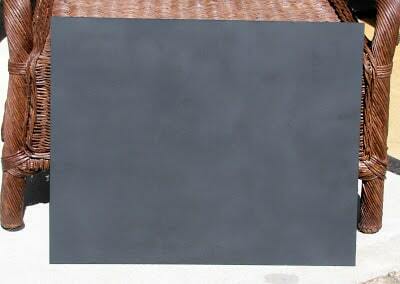 Similar to polyurethane, but it soaks into the wood more instead of sitting on top of the wood like poly does. 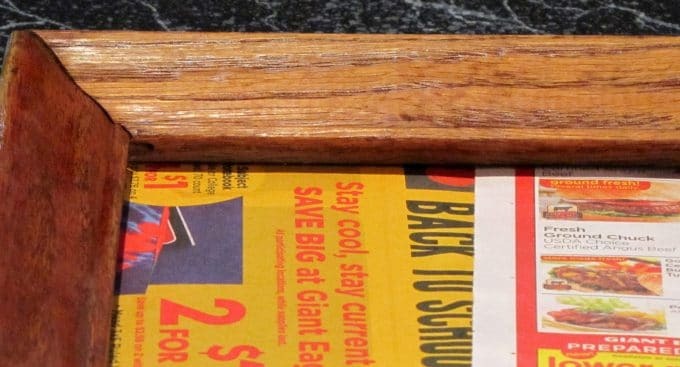 In this case, the frame was so old and dry that it needed something to brighten it up and give it a slightly protective surface, so I put one coat of tung oil on it. More than one coat would have given it a shinier finish, but that’s not the look I was going for. 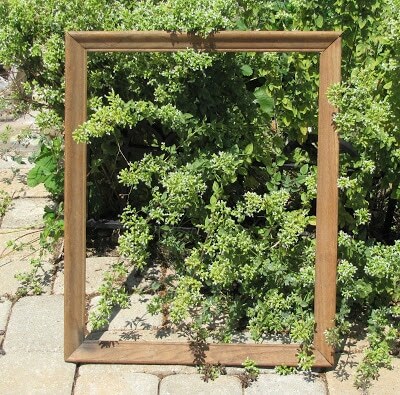 Then I went to Home Depot and bought a thin piece of wood and their highly trained saw guy cut it to the dimensions of the frame. It really was easier than cutting it myself at home and no thumbs were lost in the process. 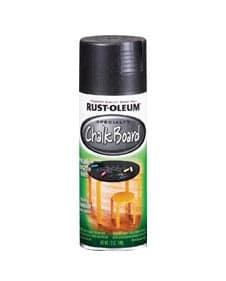 I also bought a can of Rust-Oleum’s Chalkboard Paint from them and sprayed a few light coats onto the board. 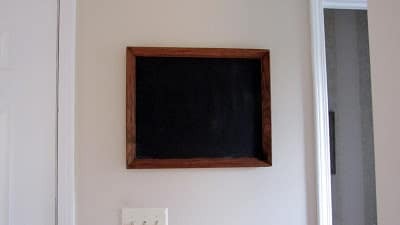 According to the directions on the can, after it had dried for 24 hours I rubbed a piece of chalk over the entire board to season the chalkboard. 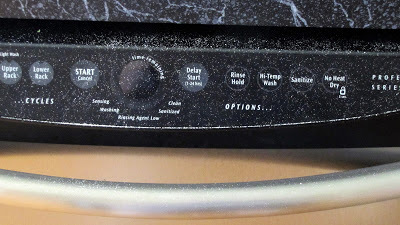 Warning – do not do this on the kitchen counter top because it made a mess on my dishwasher, floor and black shirt that I so smartly chose to wear while doing this project. I then Gorilla Glued the chalkboard to the frame. Since I couldn’t figure out how to use clamps on it because of the angles on the frame, I used various heavy things I had in the garage instead and let it sit for another 24 hours. 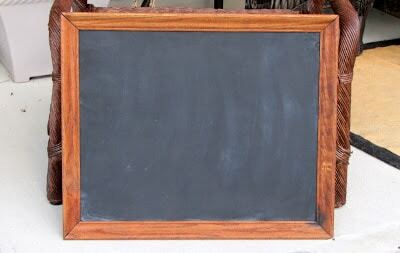 And voila there you have a inexpensive chalkboard made with an antique frame. Right now it’s in my hallway that goes out to the garage so I can write grocery notes on it, but I think I will move it to my office when I get a chance to redecorate up there. 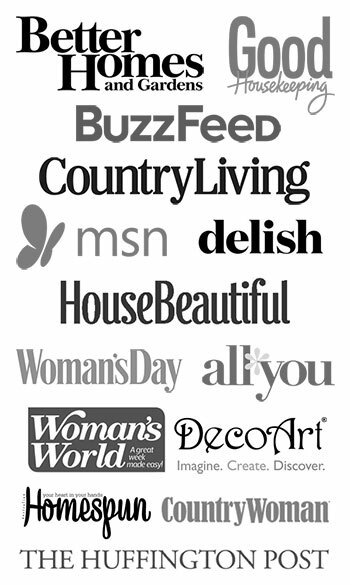 I know that this sort of project has been done in blogland before, but it was my first time at trying it and I am sort of impressed with how easy it was. 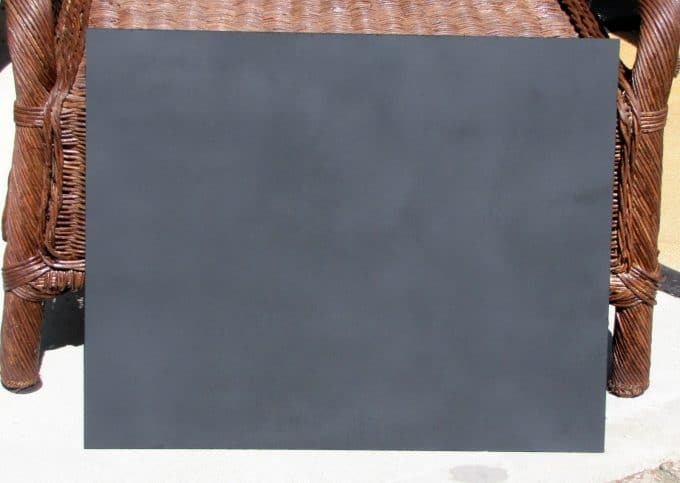 I see a whole slew of chalkboard paint projects on the horizon now. Your chalk board turned out great. I will remember the tip about where to apply the chalk, lol. Thanks for visiting me over at Pittypat Paperie and leaving the nice comment. Drop by again anytime. See you do have a crafty side after all…very cute idea! What a crafty idea. 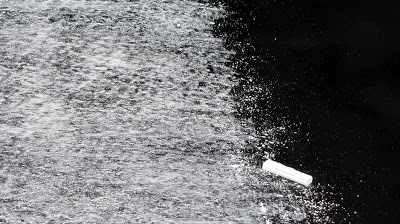 I am glad you warned us where not to apply the chalk. Nice job, Pam! 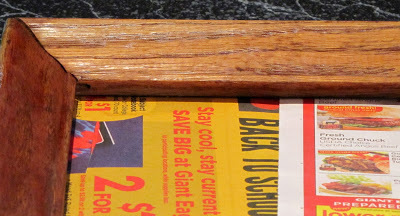 I like the way the Tung Oil brought the wood in your frame back to life. I love chalkboard paint. Congrats on your chalkboard project, Pam! It turned out great! I love making them too. I will have to get some of that gorilla glue. I use epoxy (the kind you have to mix), and not only is it really, really smelly, but it can be a bit tough to use. I’ve heard good things about gorilla glue, so I will definitely try it next time! Looks great! You did a super job. That what I’m doing with that big ugly picture I bought a couple months back. I still need to paint my frame red! I totally forgot about this project oops! Thank you for reminding me! 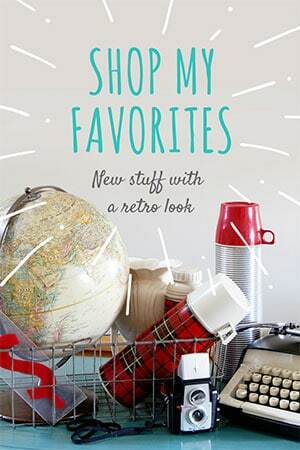 Yours looks great! I love the chalk board. I have been making a few too. You are right about the sheet music cabinet. It does have slots on each side for some very tight shelves. 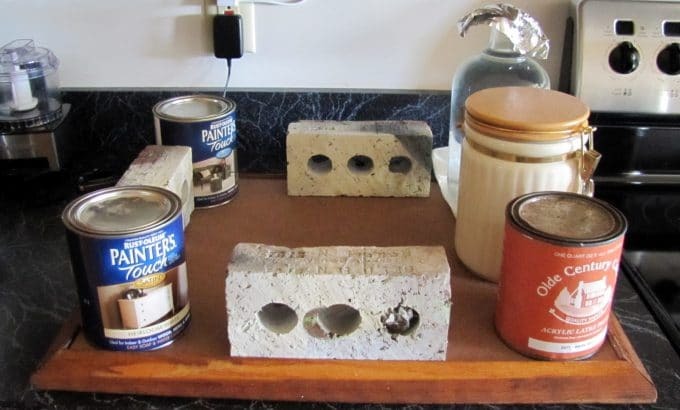 Only one shelf remains, thanks for the info. As for those trees, I know my husband would have to agree with yours, all it would take is one stabbing. I have to keep the roses trimmed around the yard or he will help.